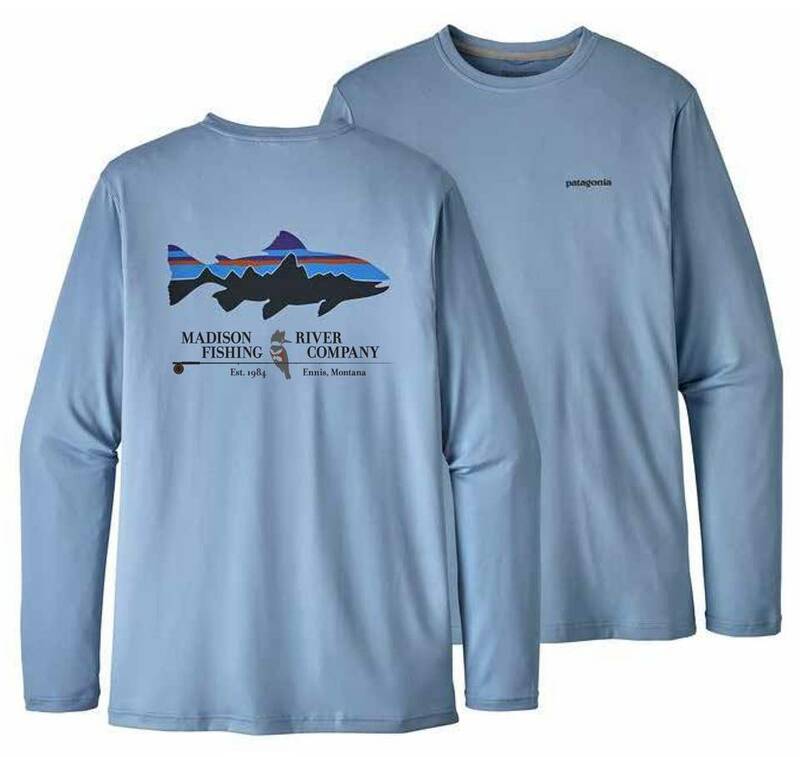 Patagonia MRFC Logo Graphic Tech Fish Tee, These much-loved Graphic Tech Fish Tee combines the relaxed, casual feel of a long-sleeved T-shirt with the quick-drying technology of Patagonia's Tropic Comfort fabric. 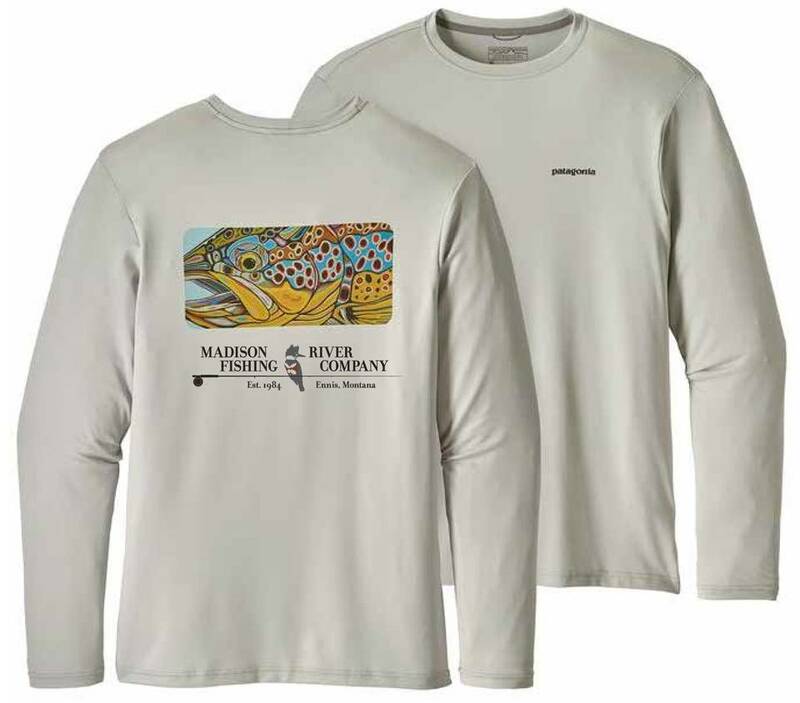 The soft and lightweight 94% polyester/6% spandex blend features improved wicking, Polygiene® permanent odor control and trusty 50+ UPF sun protection, while a ribbed neckband provides comfort and bold, fish-centric graphics show the world where your true interests lie. Fair Trade Certified™ sewn. Complete with the MRFC color logo on the back.